' School Lunches - The Snack Basket - Sisters, What! School started yesterday. The kids start at 7:40 but get on the bus at 6:56...I know, early. 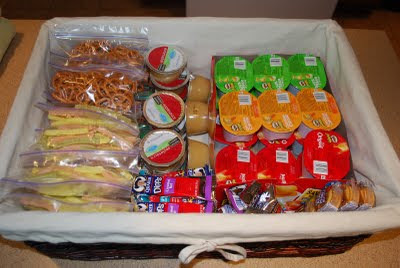 In an effort to be a bit more organized and also give the kids a bit more responsibility with their school lunches I put together this snack basket. They can pick two items to go in their lunches everyday. I prepackages the items like vegi straws and pretzels in the snack sized zip lock bags so they can just grab a bag and throw it in their lunch. I am doing the same for fruit only they will be stored in the fridge. 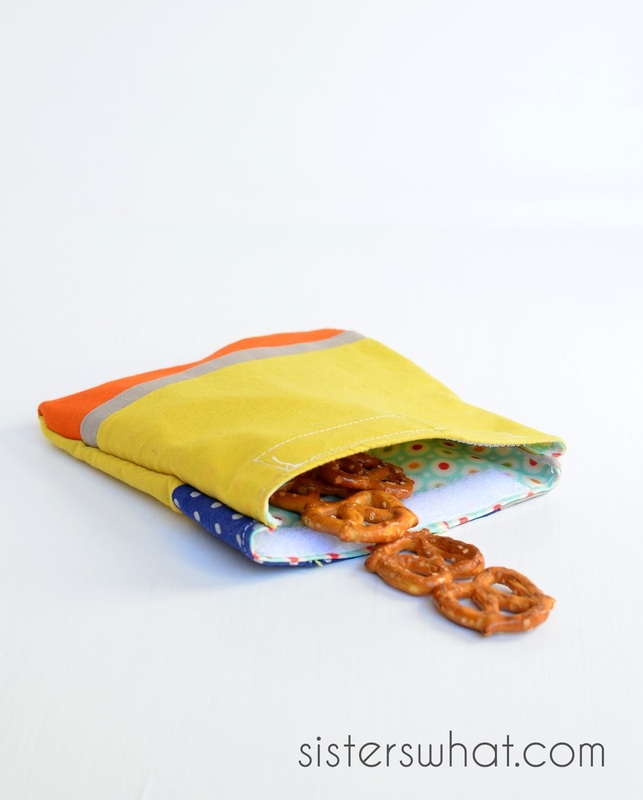 These snack bags are also great for Jackson and I at home. 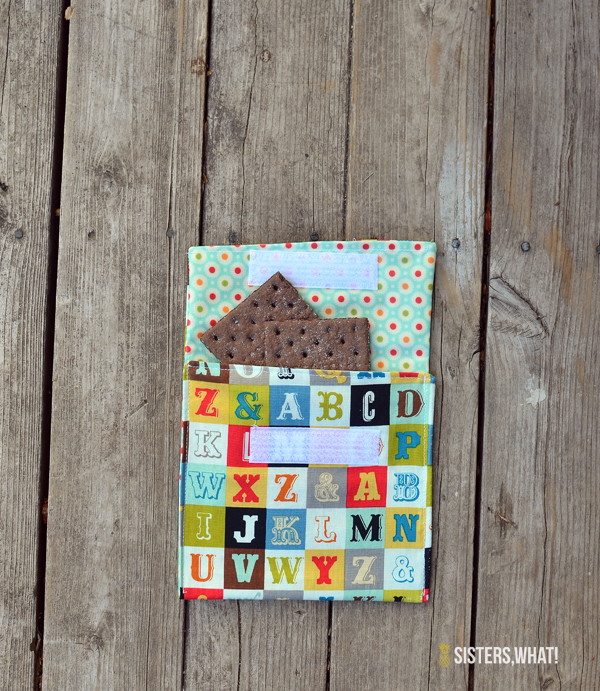 If we are running out the door for errands I can grab a bag and stick it in my purse. Jackson is always better in the store when his belly is full. Anyway this is the way things run in my house...you know I love me some organization. The kids (and I) love those. You got us addicted! Great Idea!! I may have to try this out. I need a snack. Right now. Dan...if you come over you can have a snack out of the basket. I'm loving how organized and simple this. I've been trying to do something similar but mine has turned into a war zone, and I don't even have school aged children again. thanks for the ideas! Nice idea!! 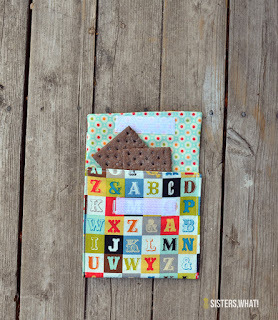 Thanks for sharing @My Spin on the Pin linky party!